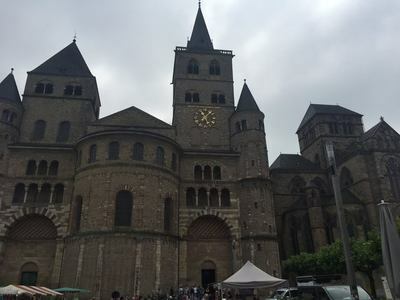 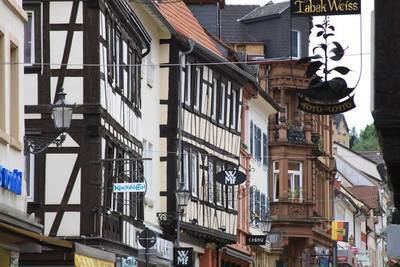 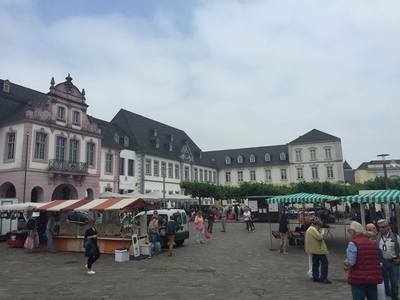 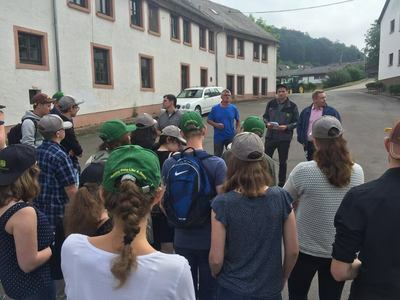 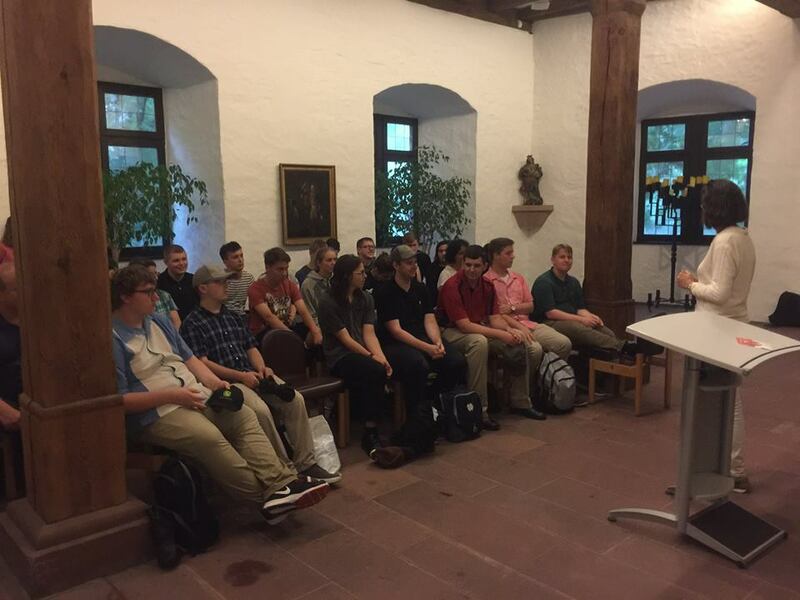 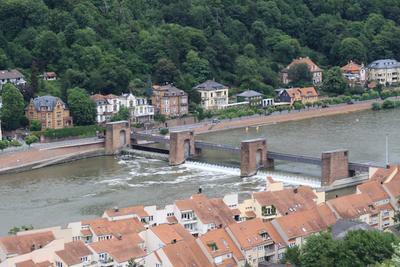 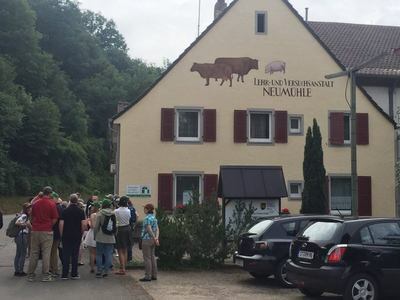 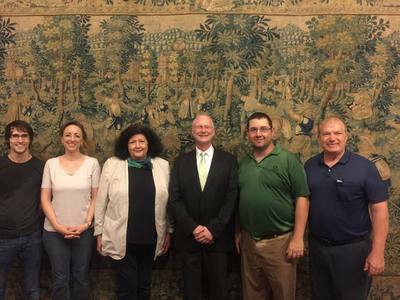 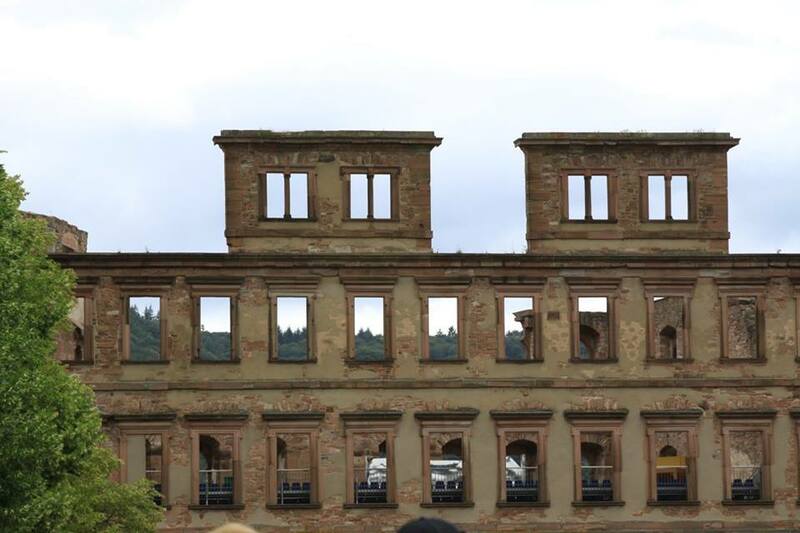 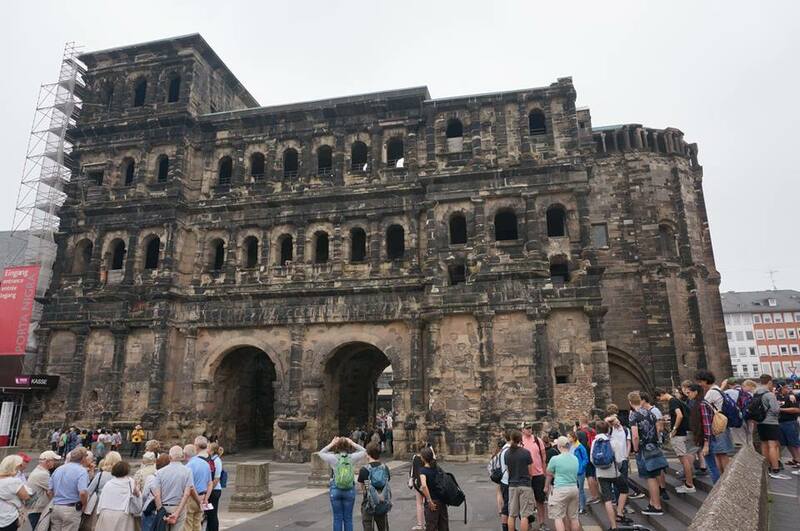 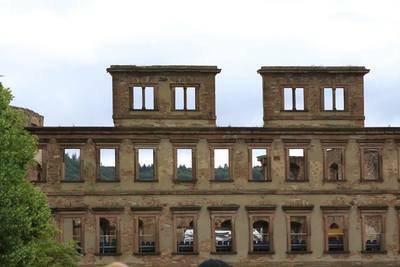 The beginning of the guided tours in Trier. 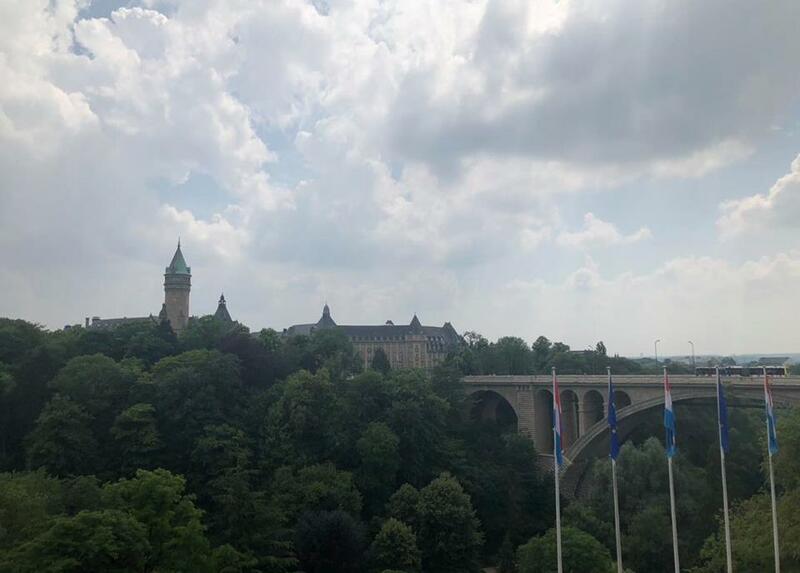 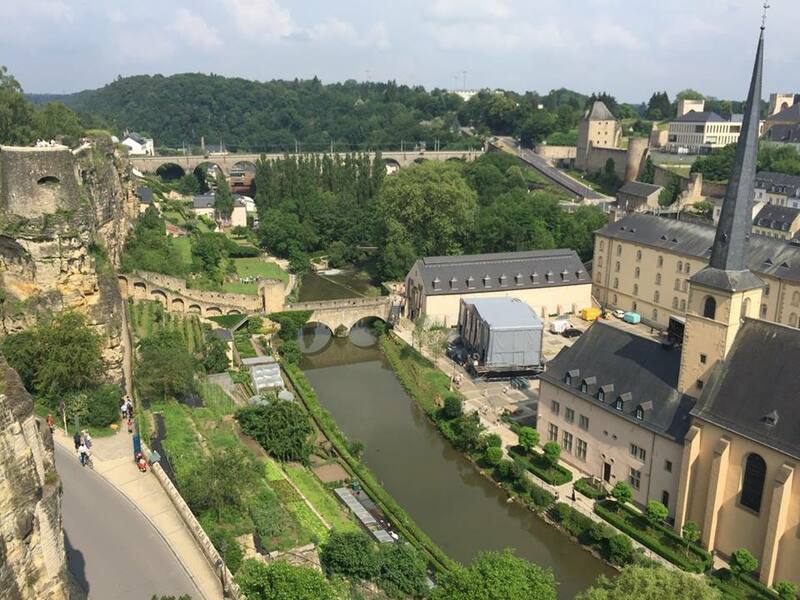 View of castle ruins in Luxembourg City. 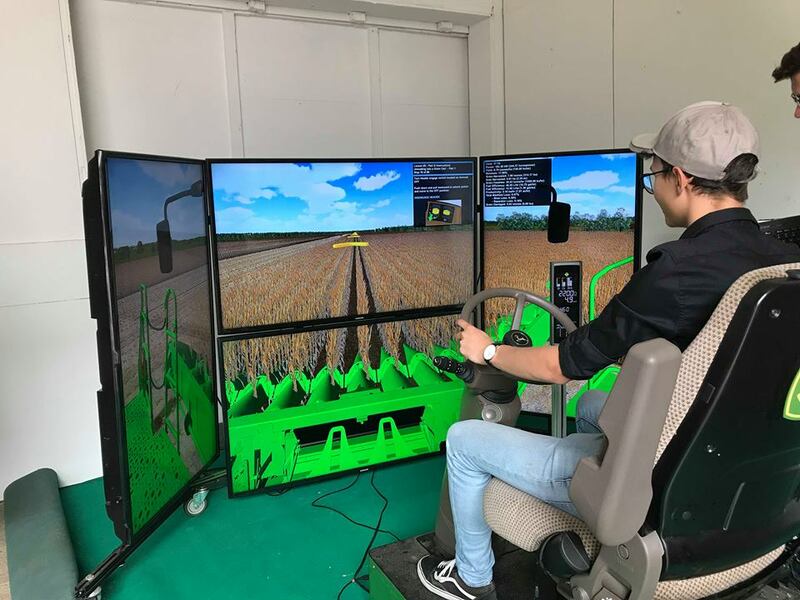 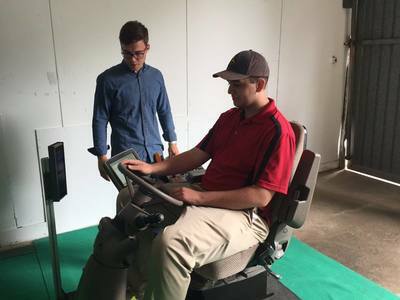 German student Sven testing out John Deere's combine simulator. 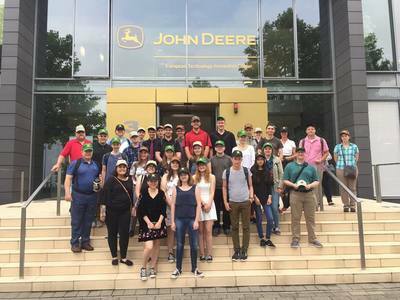 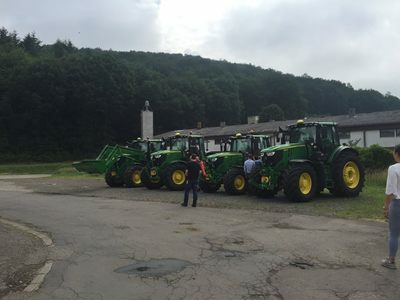 German and American students outside John Deere after presentation. American student Brandon Clark taking a turn on the combine simulator. 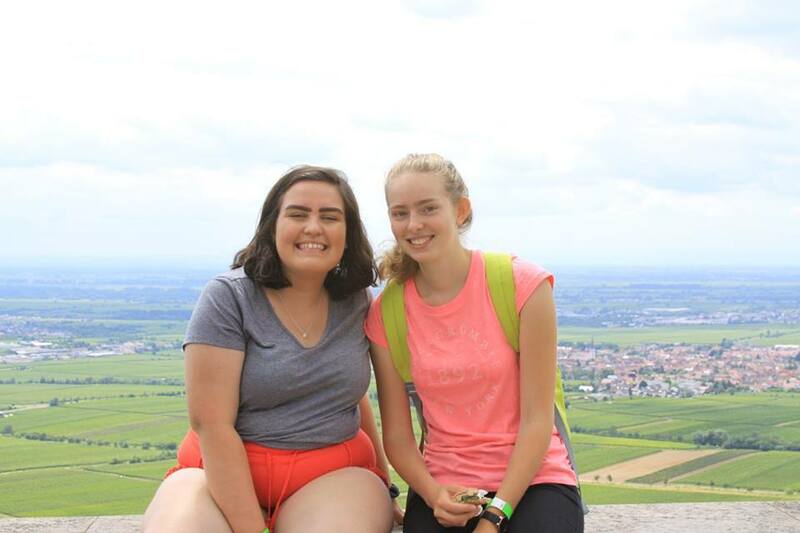 Fun fact: These are the only photos we were able to get from this night due to the heavy impact of German rain- but it was lovely while we were there (also made an amazing story time). 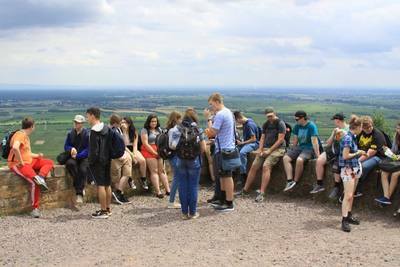 Cody and her exchange partner Sophia in front of the view from Hambach Castle. Students bonding after a guided tour of the castle. 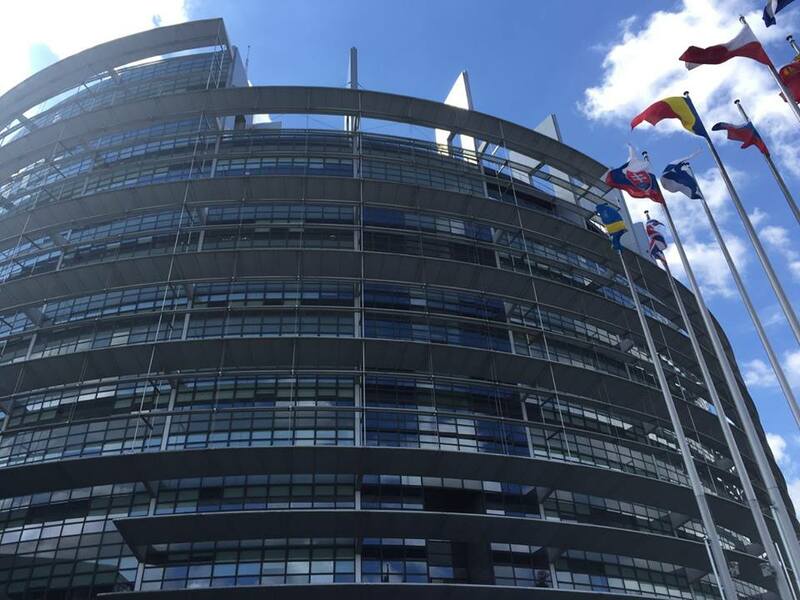 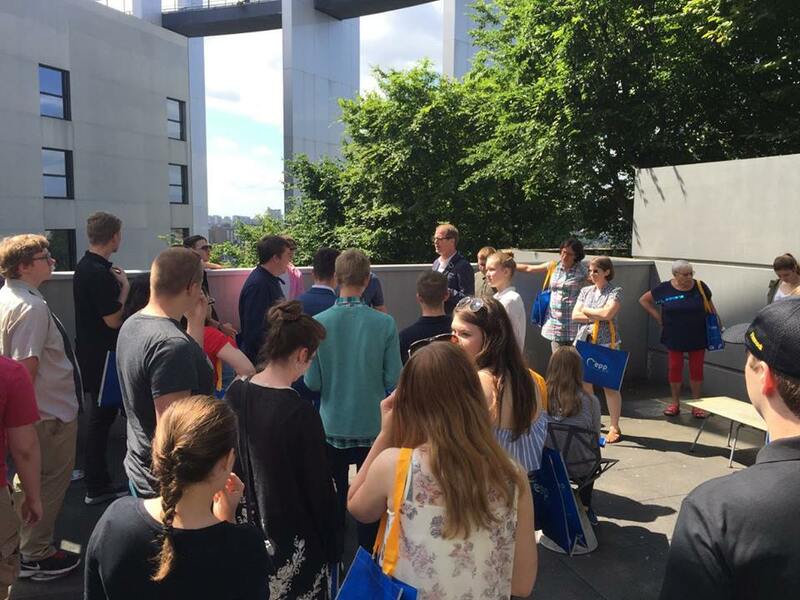 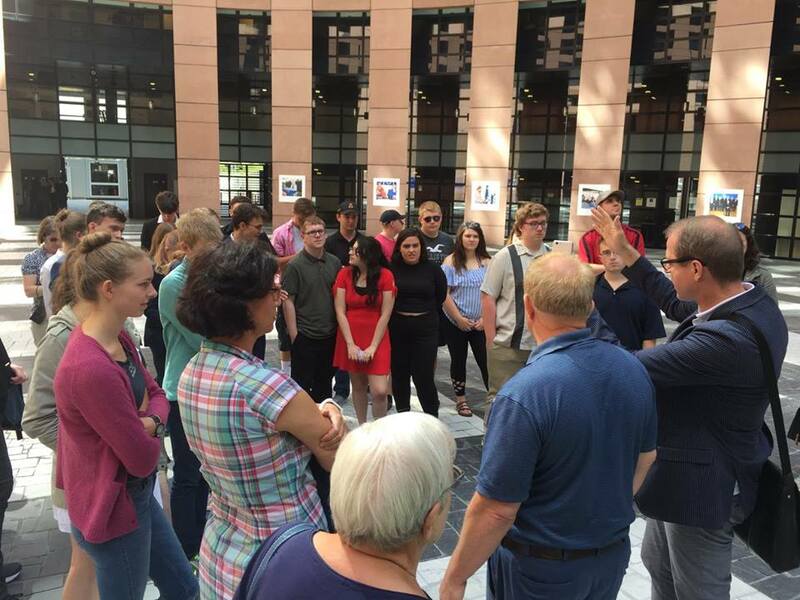 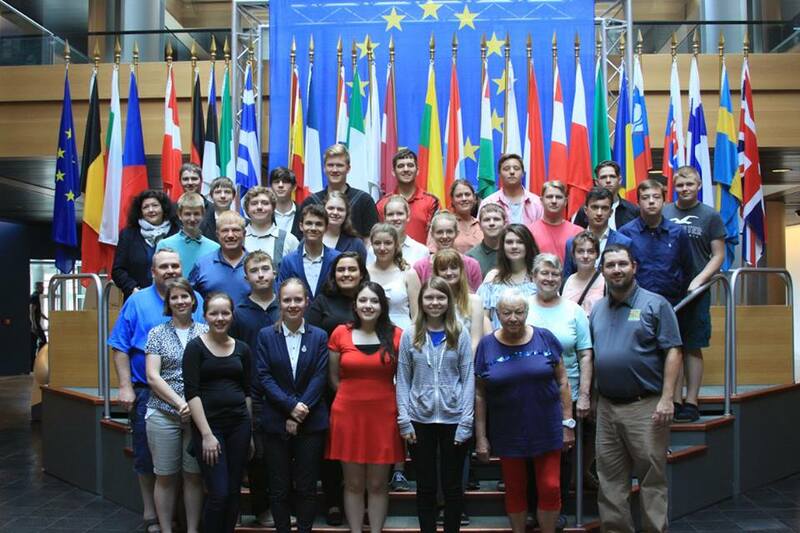 Students awaiting a guided tour of the European Parliament building. 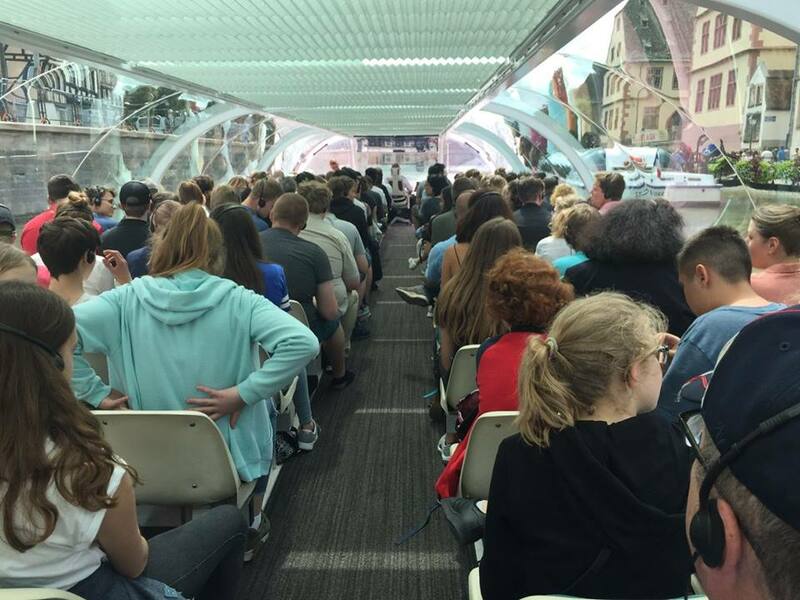 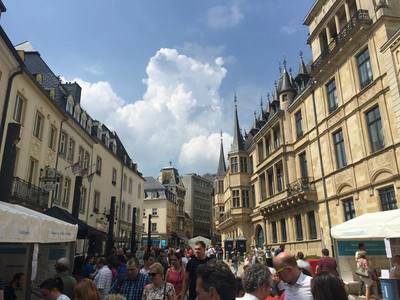 A boat tour of the beautiful city of Strassbourg, France. Breathtaking view from the castle during a guided tour. 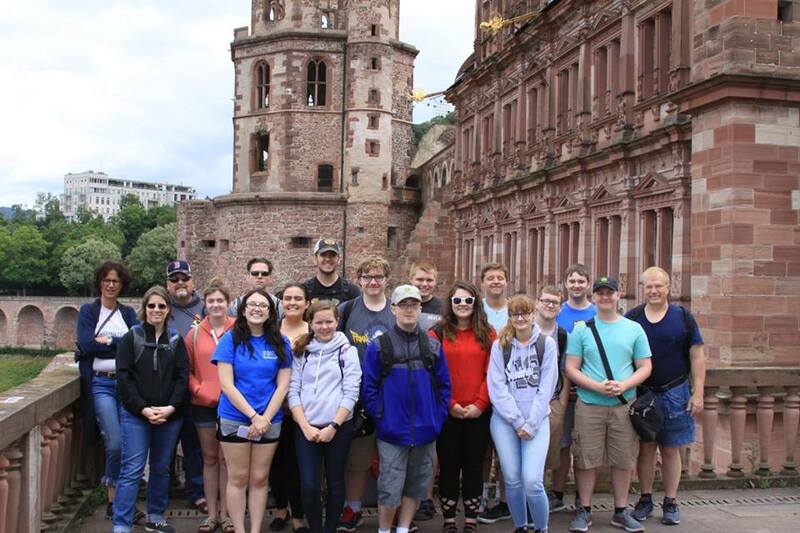 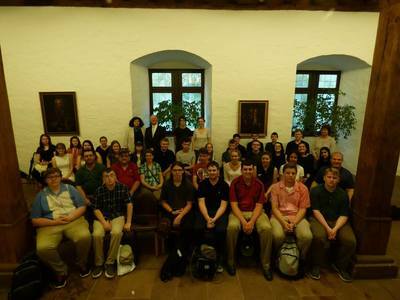 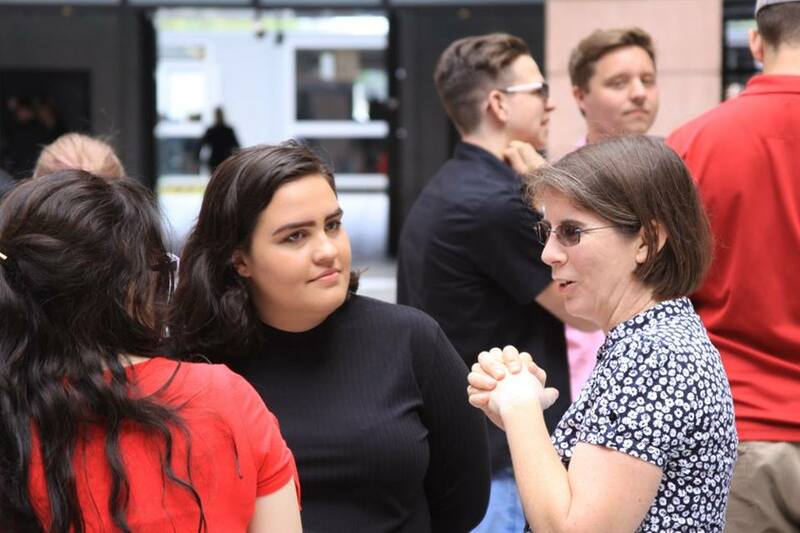 American students making the best our of their last day in Germany.